It's hard to pick a picture out of all of the 275 I posted last year, but this one is more poignant for me now after the recent passing of my mother than when it was first posted on Memorial Day. I remember this impressive photo. It's a very touching picture. I am so sorry to hear of your recent bereavement too. I hope your memories are good and comforting. It's really a good choice. What an excellent shot! 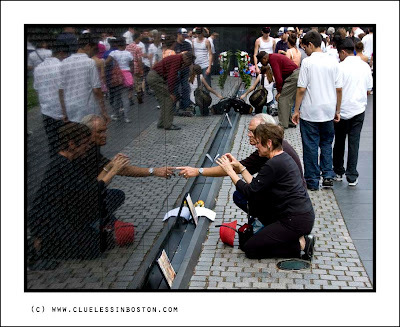 This picture was already very moving the first time you showed it; today, it has even more sense, as a symbol of memory. I'm sure your mom would have loved your choice. So sorry about the loss of your mother. This is a very good choice of your many extraordinary images. A perfect choice, although I would be hard pressed to pick just one of your images. You have so many super shots. It is touching that this image speaks to you in new ways since the loss of your dear mother.